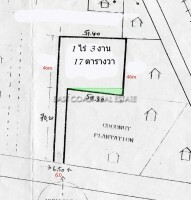 Land Soi Wat Pong. Now fast becoming an area of choice with many ex-pat families it offers quick and easy access to the Bangkok Motorway, Highway 36, Laem Chabang & Rayong. 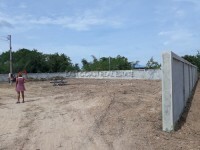 This 3 Rai, 215 Wah (5,660sq.m) plot is to be sold as 1 piece. This is aprox 7,000 Baht pr sq.wah which is very competitive!!! The plot has direct road access, and plenty of amenities close by.